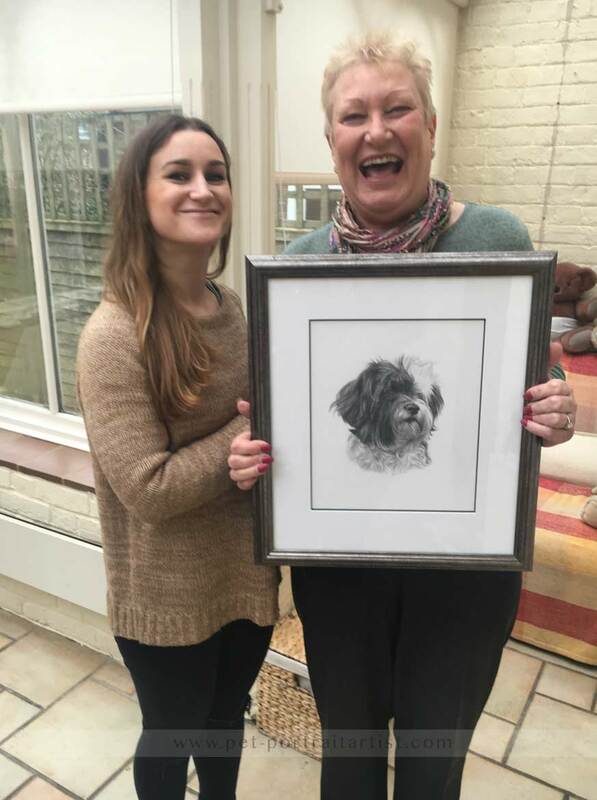 Caroline emailed me to find out if I could draw her mums Tibetan Terrier Hollie as a surprise for her 60th birthday. We were thrilled to hear form Caroline as we have our own Tibetan Terrier and I couldn’t wait to get started. 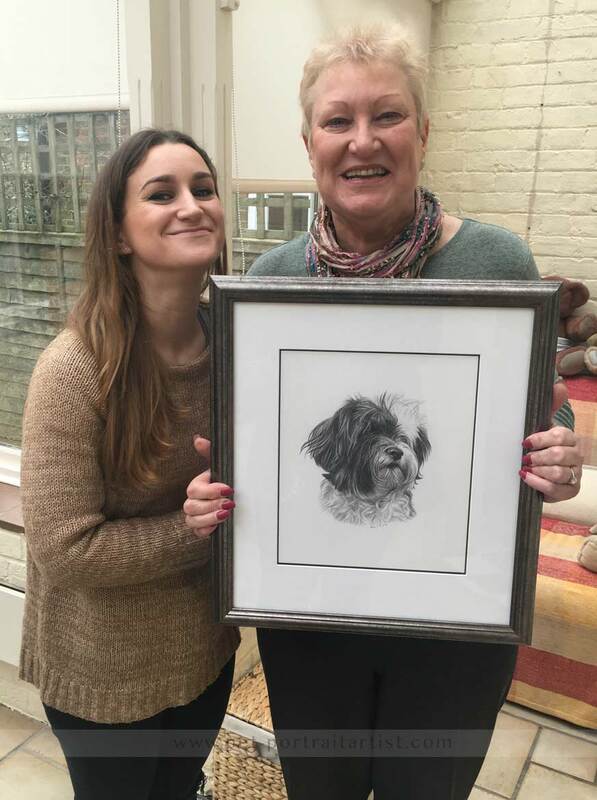 You can read the full story about holly and her portrait on my website of Hollie the Tibetan Terrier. Caroline’s mum was thrilled with the final portrait and you can see two lovely photos of both Caroline and her mum below.